Description: This woman was spending some time outdoors on a sunny day working in her yard. 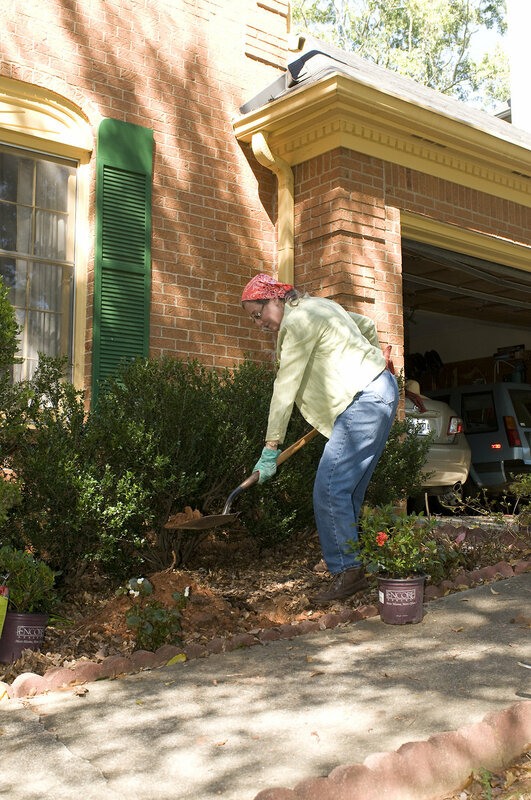 At this point in her activity, she was using a shovel in order to dig a small hole where she'd plant a newly-purchase shrub in the front of her home. The Parterre Garden Installation at Atlanta Botanical Garden.